Our sacred grounds are maintained on a regular basis during the growing season for the best appearance of your loved one’s gravesite and cemetery. ITEMS are removed when they become unsightly, withered or if they fail to comply with size and/or material limitations. 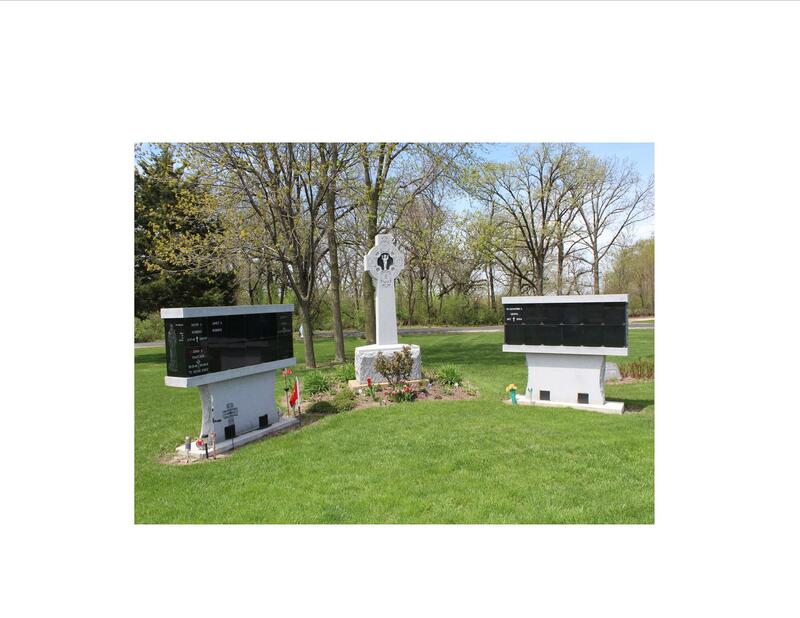 All headstones and monuments must be on a foundation of at least a depth of 18”. Our wish is to be as sensitive as possible to your needs in allowing you to express your grief and love in adorning your loved one’s gravesite., keeping in mind the reverence and beauty of the entire cemetery. Palm Sunday is the traditional time used by the cemetery to clean the grounds and prepare the cemetery for Spring. ALL ITEMS will be removed and disposed. If you wish to retain your items, it is your responsibility to have them removed before Palm Sunday. October 1st is the traditional time used by the cemetery to prepare the grounds for winter. ALL ITEMS will be removed and disposed of. If you wish to retain your items, it is your responsibility to have it removed before October 1st. Since the cemetery is open to the public, it is very difficult to control the activity of every visitor. We regret that we cannot guarantee items from damage or disappearance. We’d advise you not to place any objects of sentimental value. Funeral Flowers may remain at the grave for a minimum of 2 weeks at which time they will be removed and disposed. Any floral urns, vases, ribbons, etc. that the family desires to keep should be removed immediately following the funeral service. Only approved attached bronze vases are permitted. Each year around April 1st you can safely raise the vase, but must be lowered (inverted) into the ground October 1st of each year. This is to protect the vase from severe damage from the winter elements and winter operations. Families may plant flowers directly in front of their monument but NOT COLUMBARIUMS. The flower bed may extend one foot out from the front of the monument and is not to extend out any further to the side than the base of the monument. Families are to provide regular care of plantings. Otherwise removal will be necessary should unsightliness prevail. ALL OTHER PLANTINGS ARE STRICKLY PROHIBITED AND WILL BE DISCARDED. THIS INCLUDES UNAUTHORIZED TREES, BUSHES, ROSE BUSHES, ETC. 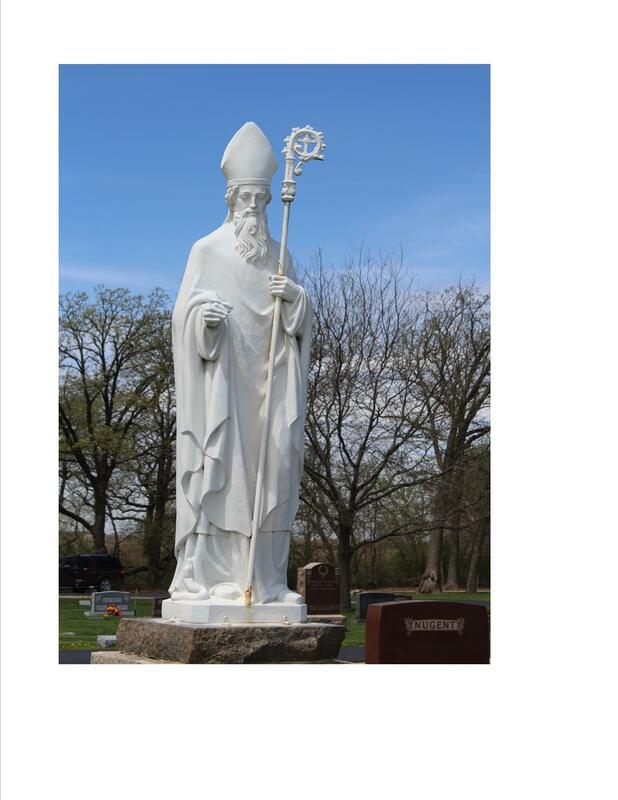 Items not specifically permitted herein will be removed including any items made of glass, ceramic pieces, or metal objects as they are a dangerous hazard to cemetery machinery, personnel and visitors. One shepherd hook will be allowed per grave site. None are allowed at columbarium site. NO outlining of graves or memorials with flowers, rocks, mulch etc. is permitted. One eternal light per columbarium site. Upright monuments are allowed in certain sections of the cemetery on approval of the church board.